However, there is a new group of physicians researchers who are concerned that the pendulum has swung too far. They are concerned that we are performing too many surgeries on high risk older adults. These surgeries too frequently result in poor outcomes that older adults care about, like death or loss of functional ability. And too often, these surgeries take place with too little thought and deliberation by the referring physician and surgeon about the decision to have surgery or not. Emily Finlayson is a colorectal surgeon at UCSF who has published a number of studies calling into question the thoughtfulness of surgical decision making for nursing home residents. Mortality for major abdominal surgery is far higher for nursing home residents than non-nursing home residents and functional status declines markedly following surgery for nursing home patients treated with surgery for colon cancer. Emily is designing a new "prehab" clinic for frail older adults undergoing elective surgery. This prehab clinic will include a Comprehensive Geriatrics Assessment and goals of care discussion by a geriatrician, with triggers for referral to palliative care. Gretchen Schwarze is a vascular surgeon at the University of Wisconsin who has described two fascinating phenomena in surgery: (1) "buy in", or the unspoken pact that surgeon's feel they have made with patients to not deviate from an all out push to recover from surgery in the first 30 days post-op, including a refusal to listen to patient or family demands to stop life-support; and (2) problems with the "fix it" metaphor for surgical decision making. Gretchen posted about fix it on GeriPal. She also described a novel approach to surgical decision making using the "best case" and "worst case" scenario, including a visual of the surgeon's best guess of where the patient will end up on that spectrum. Mark Neuman is an anesthesiologist at the University of Pennsylvania who is the only anesthesiologist I know interested in health services research and geriatrics. Fascinating! We should have more. He published the terrific piece on hip fracture in nursing home residents Eric wrote about for GeriPal last month. Mark was also senior author of this awesome perspective for NEJM about a radical redesign of surgical decision making for high risk elders (first author Laurent Glance, MD, U Rochester). My favorite idea from this perspective: GeriBoards. We have multidisciplinary tumor boards for patients with cancer, including the surgeon, oncologist, and other care provders. 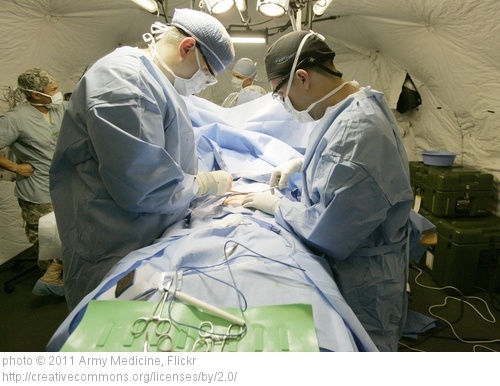 Doesn't it seem logical that we should have multidisciplinary geriatric surgery boards? The primary care doctor or geriatrician, who has a long relationship with the patient, can weigh in on the big picture, the anesthesiologist can weigh in about the risks from their perspective, and PT/OT can weigh in about the realistic potential for recovery of function. They can deliberate together and follow the patient as a team. Yes! We should be doing that. Zara Cooper is a trauma surgeon certified in palliative medicine at the Brigham and Women's Hospital in Boston focused on decision making for older adults and seriously ill patients with life threatening surgical conditions. Zara is working with Rachelle Bernacki, Susan Block, and Atul Gawande to develop a structured "check list" based approach to surgical decision making for high risk patients. This content provides me more useful information about the health. Actually everyone try to keep her his health. I am very useful because I needed to know this type of heath related write up to know. "Prehab" what a great concept! I also want to make a pitch for better attention to function and mobilization when patients are in acute care. There seems to be some vast transmogrifying machine in some inpatient units that takes people who were able to ambulate in the community and turns them, after a 3 day qualifying stay, into patients who are unsafe for discharge home and need "SNF". Yes, I know that sometimes this is because of their underlying medical issue(s) but perhaps their medical issue is sometimes us and the culture of the med-surg unit. Palllitive-hospice thought.....Do these elderly nursing home patients have any voice in choosing urgent operative interventions? Would it be too idealistic to have all nursing home patients have "five wishes" on file in their charts on admission? Can I say a resounding YES in agreement to the comment ensuring all nursing home patients have 5 wishes on file...and can we begin to have more in-depth conversations about all the pros and cons involved in every health care decision for every patient who should understand fully what they are agreeing to?